Home / Apple iOS / Google Android / iPad / iPhone / WhatsApp is back with new features! Remain free and not fee-based service. Will LINE follow? 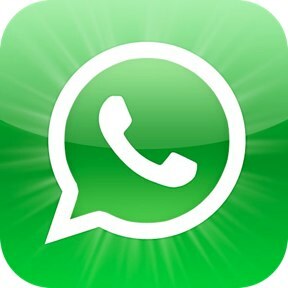 New Whatsapp is still $ 0.99 on Apple App Store and free on Android Market, no additional service charges. The new chat function added to convert the background, please try get to “WhatsApp – Settings – Chat Settings – Chat Wallpaper” , there you can change the background wallpaper. Another amendment is the Chinese and Japanese keyboard issue. « Previous Article Apple to design iPhone 5 or future i-device with nano-coating? Waterproof iPhone/iPad casing coming soon.